Solar panels don’t last forever, but one of the biggest questions that home and business owners ask about solar energy is how long it will last. This is an important factor into whether or not the energy savings of solar are a smart financial decision, because people need to know whether or not they will get their investment back, over time. 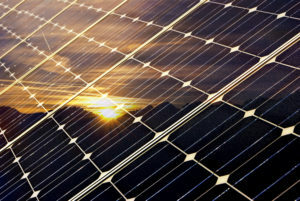 A standard solar panel experiences a degradation rate of energy output of about 0.8% per year. Because of this, a standard solar panel general lasts 25 years before it reaches a point of degradation that home and business owners start to notice, at around 82.5% of its original efficiency. At this point, the energy output has decreased by a significant amount, but those panels still add value, and can continue to work for decades and decades. For homes and businesses that require a high generation of energy, though, 25 years is roughly a good time for replacement. While a standard solar panel has a degradation rate of 0.8%, we don’t install standard solar panels at True Energy Pros. Instead, we install SunPower panels, which are premium solar panels that have a degradation rate of 0.3%. This means that, over the same 25 year period, SunPower panels will still have an energy output of around 92.5%. In addition, our SunPower panels come with a 25 year warranty, should any damage or unusual degradation occur. The real important factor for solar panel longevity is energy payback time, or EPBT. Essentially, regardless of how long your solar panels last, they need to be making you back money on the energy costs. Typically, the EPBT of solar panel systems in the United States is between 6 to 8 years. Calculating this depends greatly on your home or company’s energy usage, how many panels you need, and your home’s orientation to the direction of the sun. If you have any questions about solar longevity, or anything related to solar energy for your home or business, then please don’t hesitate to call our team, today! At True Energy Pros, we are highly educated and experienced in setting up quality solar systems for families and businesses in Utah, and around the country.